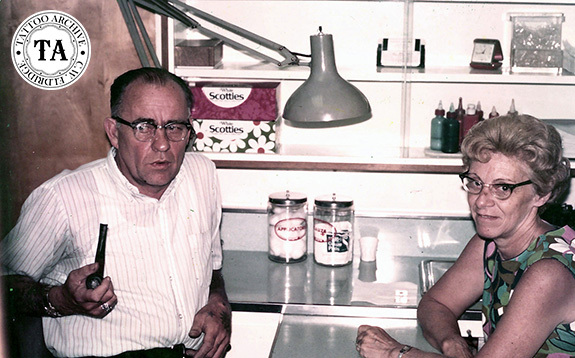 "Sailor" Eddie and his wife, Esther Evans were east coast tattooists who operated shops in Philadelphia, Pennsylvania and Camden, New Jersey. When they were at #839 Race Street in Philadelphia they were billed as "Phila. Most Modern Tattoo Studio, Bright Colors & Modern Designs." In the early 1960s Paul Rogers went to work for Sailor Eddie on Broadway in Camden, New Jersey. Over the years they worked at least two different locations on Broadway, #441 and #612. 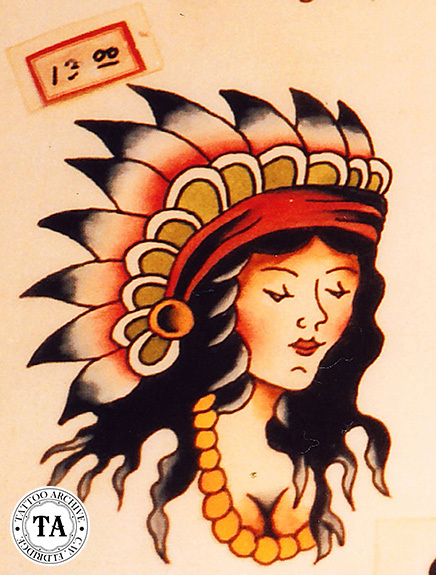 The Evans’ were from the Coleman School of tattooing with a big, bold and colorful style. Mike Malone remembers when he first saw Sailor Eddie tattooing, "One day when I was living in New York trying to make a living doing photography. I was shooting on assignment on St. Mark's Place and looked up and saw Thom deVita sitting on a stoop with this huge dragon down the side of his leg. It was an old Coleman pattern done by Paul Rogers and Eddie Evans when they worked together in Camden and it was incredible. The lines were all sure of themselves and the color was nice and solid and brilliant. It was a complete turnaround for me-wait a minute, drop everything-tattoos can be good."